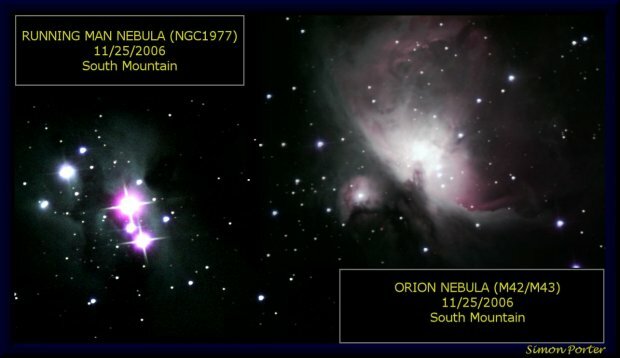 The Orion Nebula and the Running Man Nebula. Taken with an Orion ST80 with a Bader Fringe Killer filter, an Orion Starshoot CCD camera. 60x60 second exposures. Taken from South Mountain night of 11/25/2006.